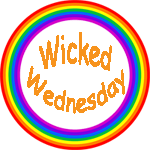 Posted on July 3, 2018 July 2, 2018 by livvylibertinePosted in bipolar disorder, blog, essay, mental illness, musings, thoughts, Wicked WednesdayTagged bipolar, bipolar disorder, blogging, essay, ramblings, thoughts, writing. Hang in there, LL! I’m rooting for you to raise again like a phoenix from the flames. I totally get how you are feeling. I am not bipolar, but I am depressed at this moment and nothing seems to make me happy. I went to the doc this morning and am going to see a psych, because like you, I want to see the light at the end of the tunnel again. I want to feel real joy, something I haven’t felt for quite some time. I wish you luck in finding what works for you. Sorry you’re going through it too. Hopefully things get better soon. Best of luck!